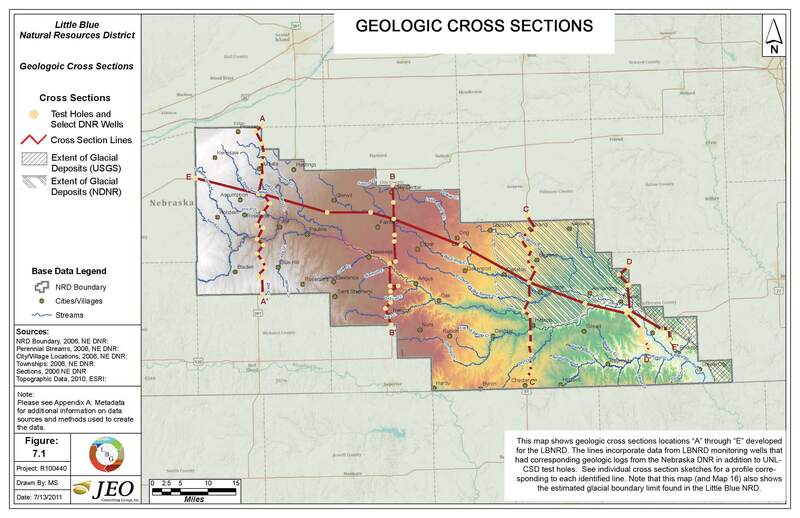 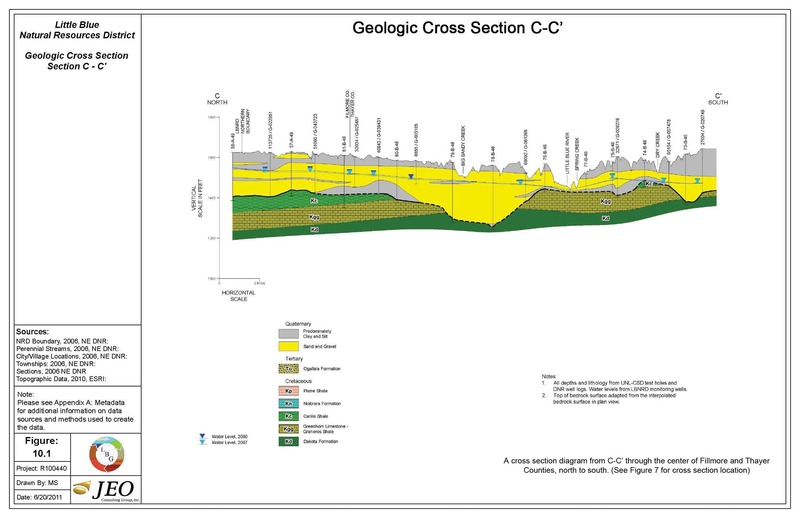 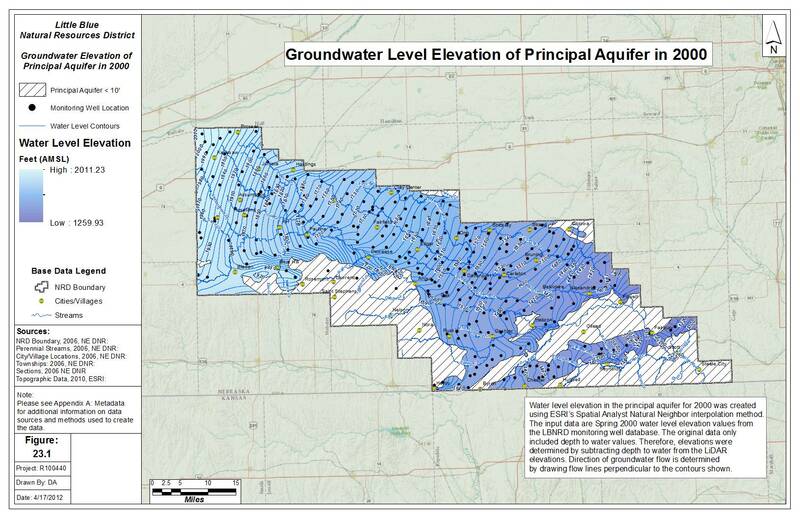 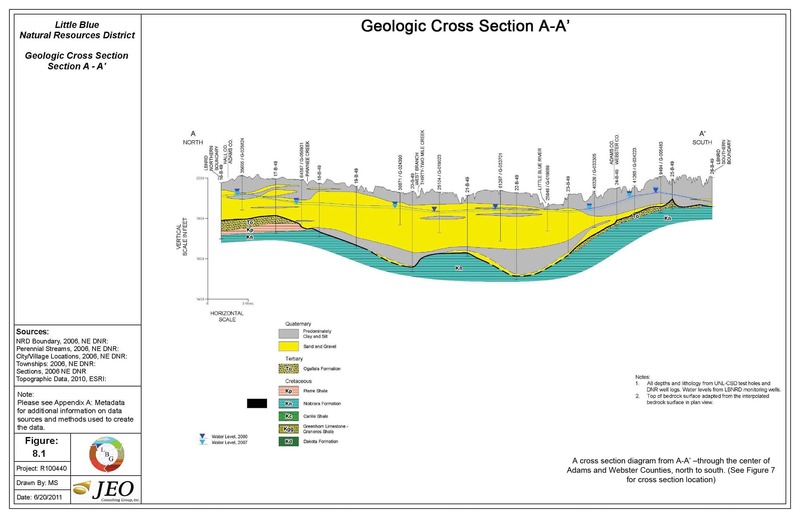 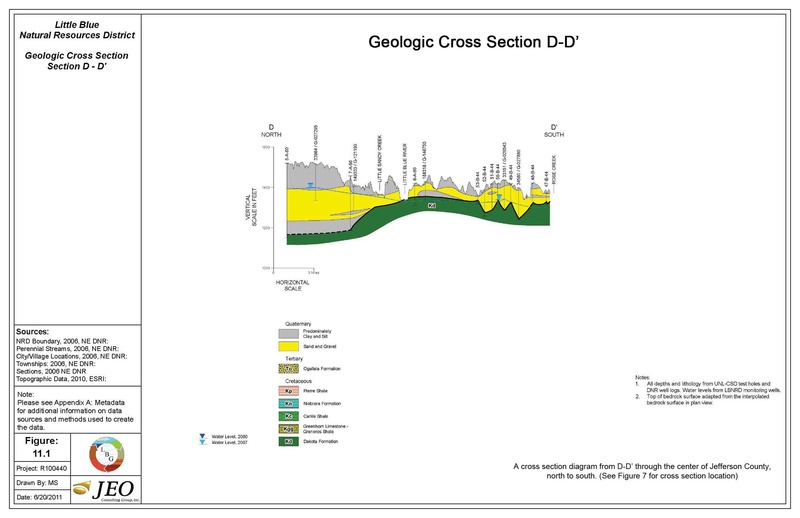 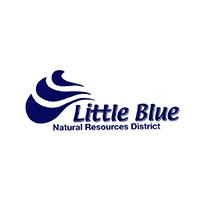 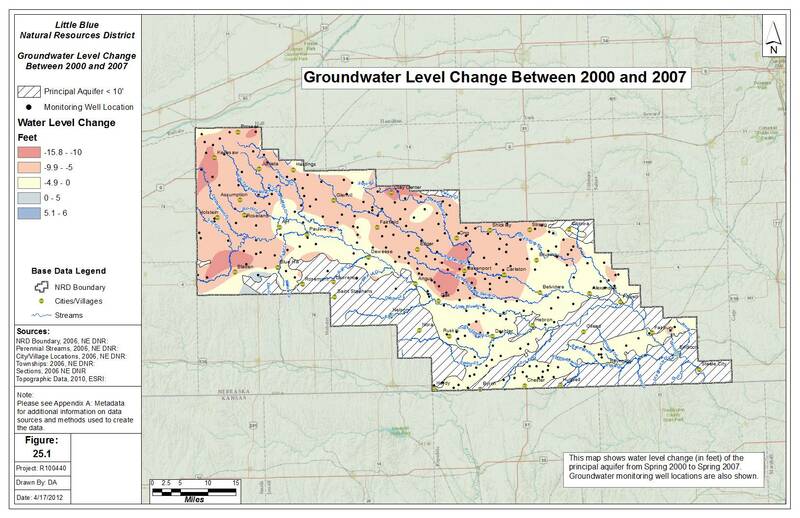 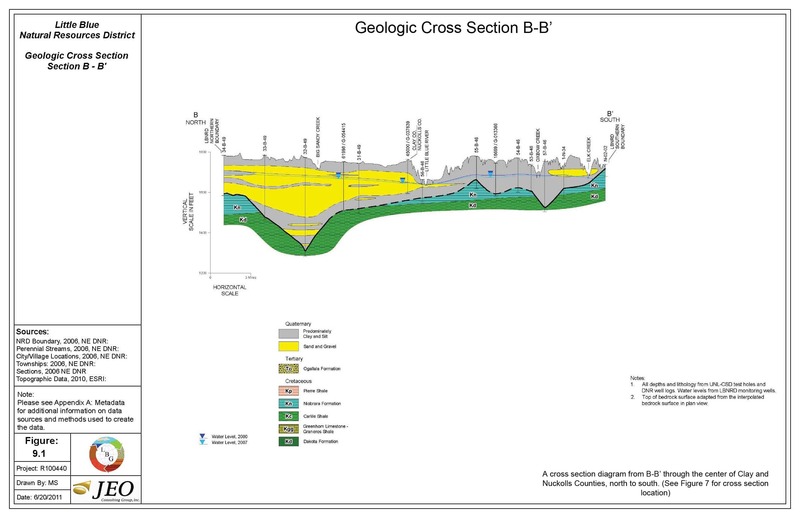 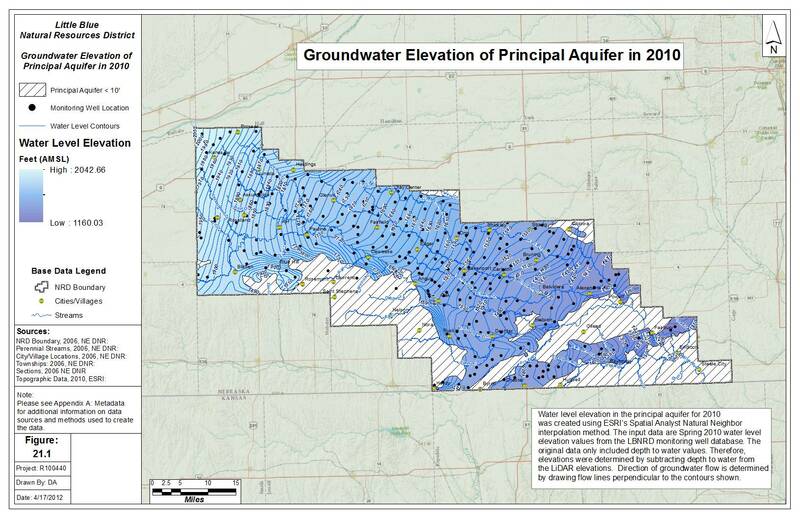 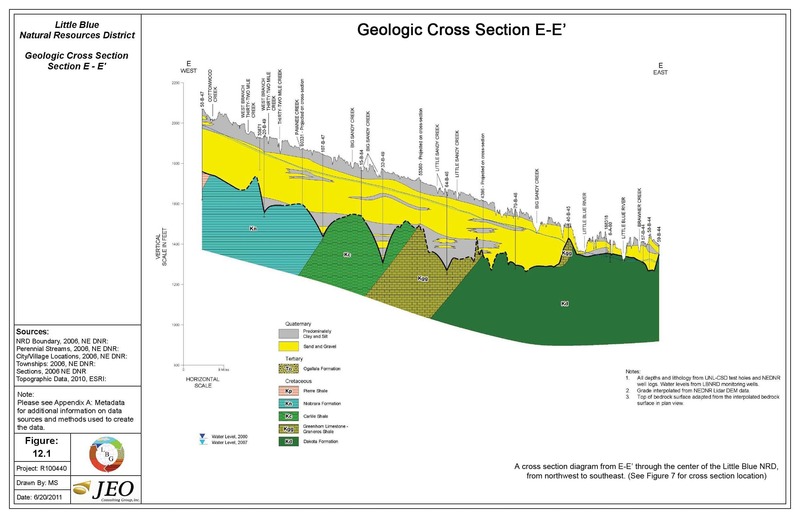 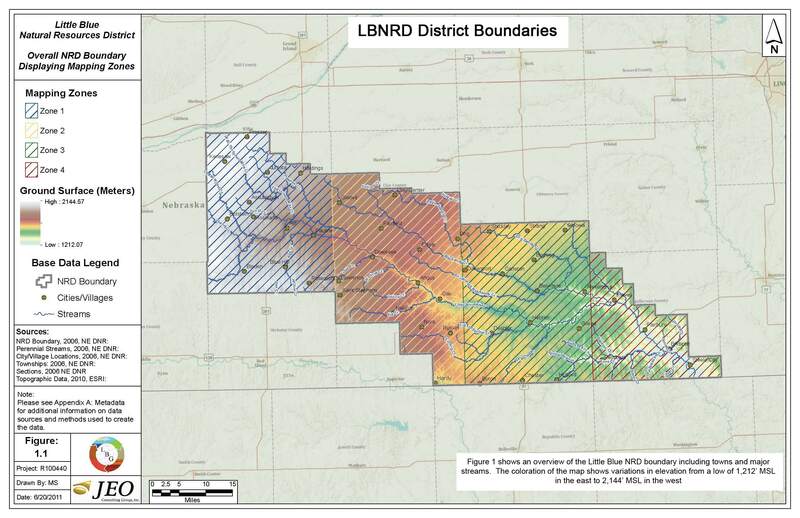 In 2011 the Little Blue Natural Resources District undertook a hydrogeologic study to compile currently available hydrogeologic information and draft a report that included the data sources, methods of analysis and maps generated to identify areas comprised of similar aquifers, hydrostratigraphic units, and larger groundwater flow systems in the District. 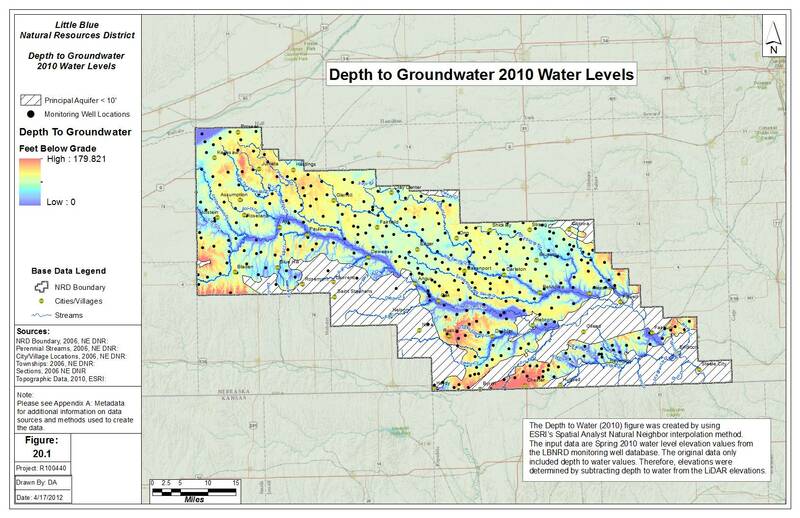 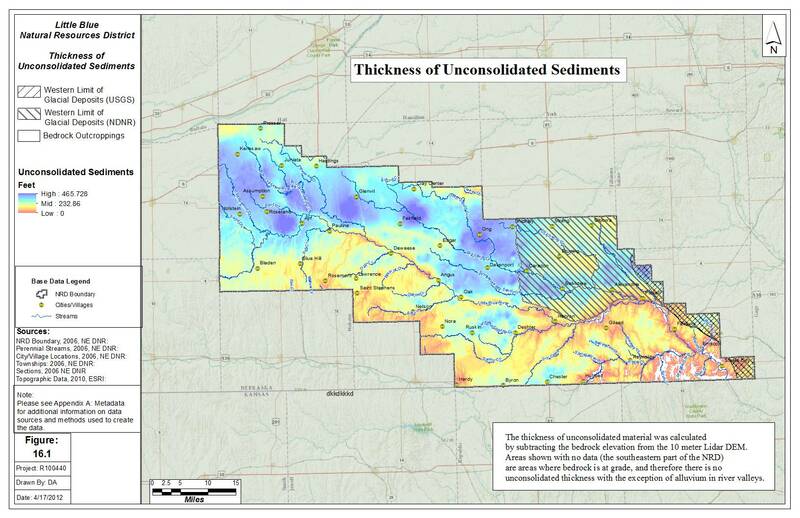 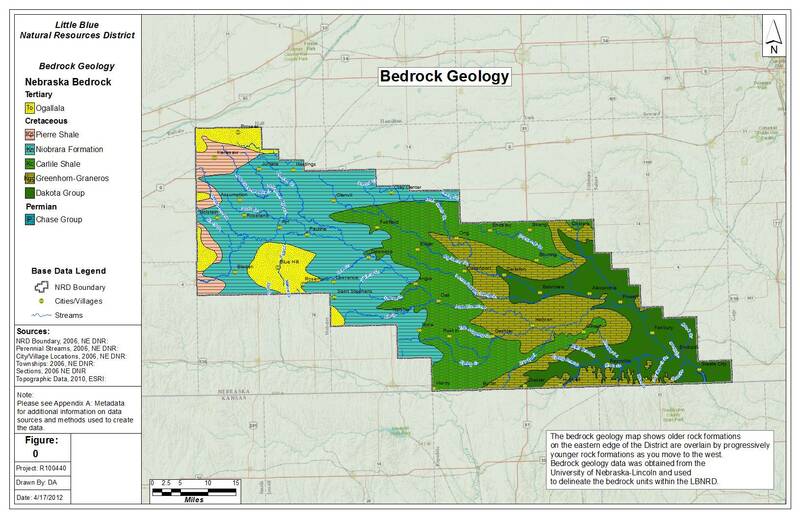 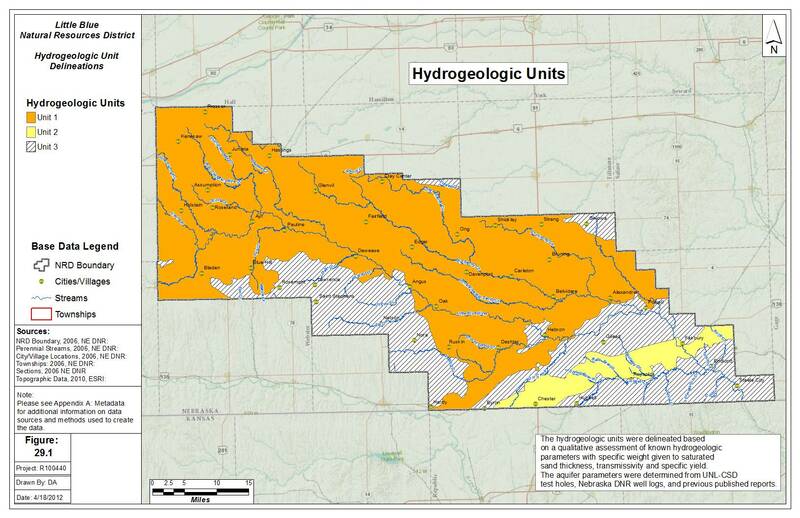 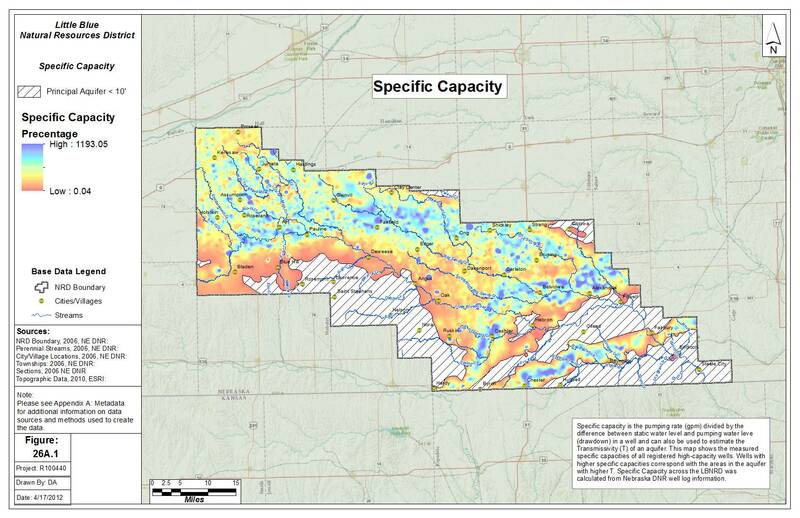 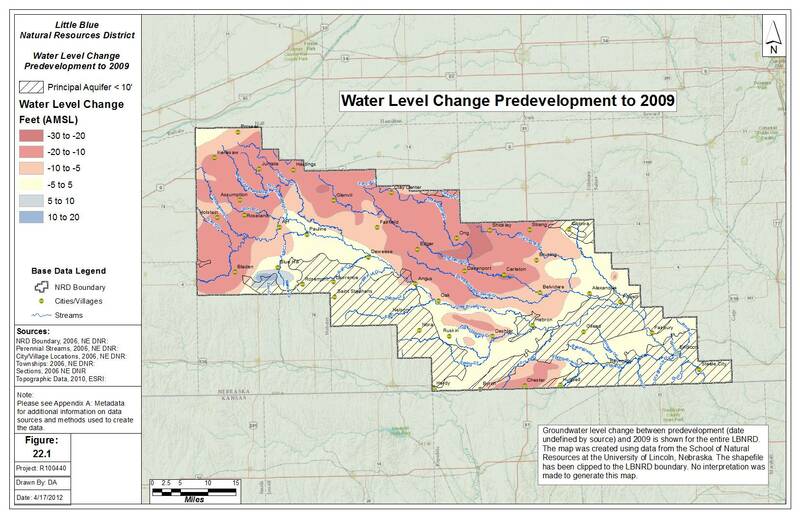 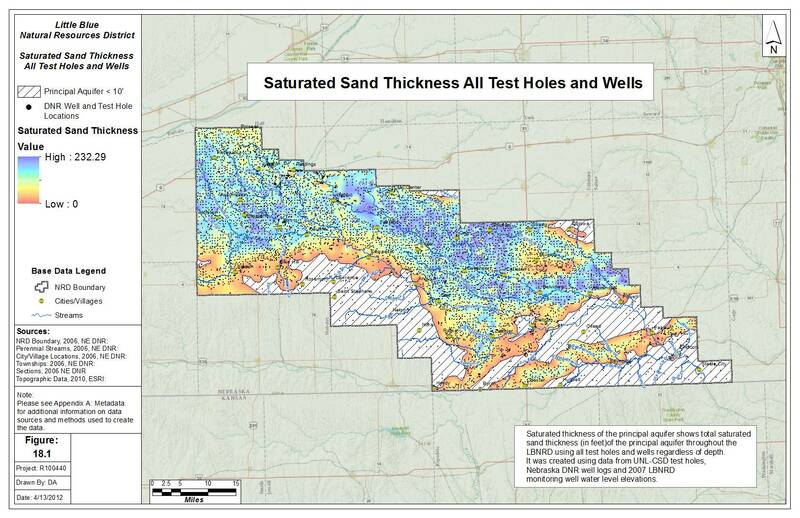 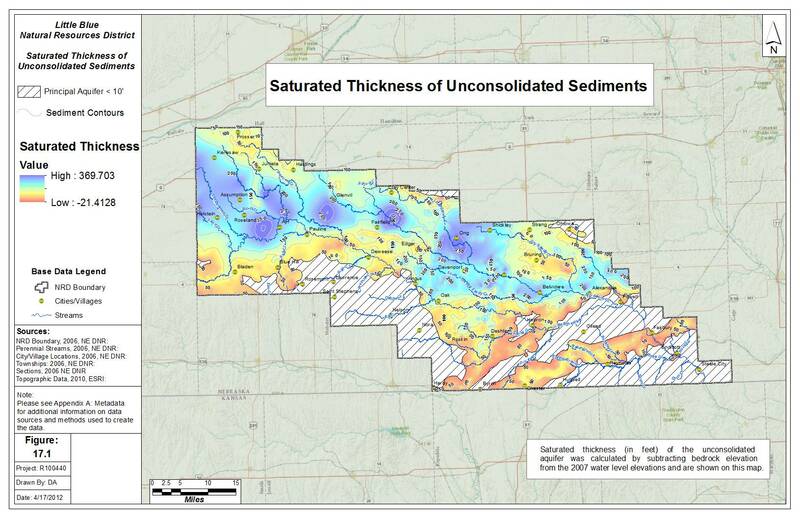 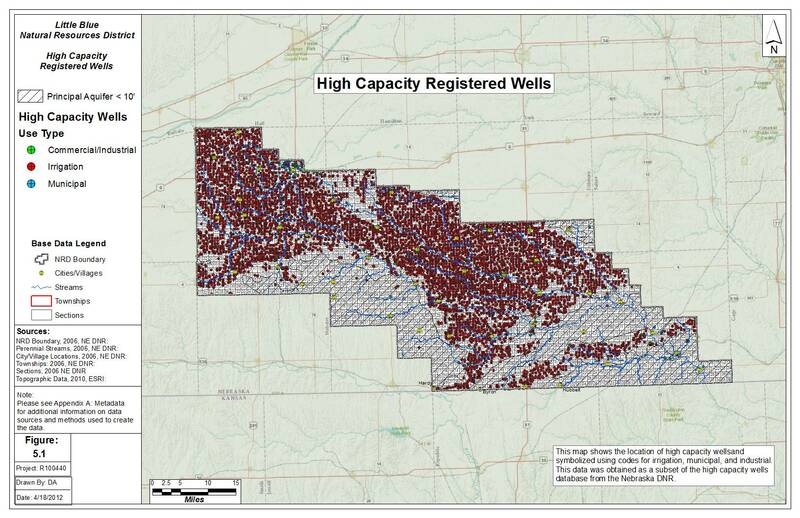 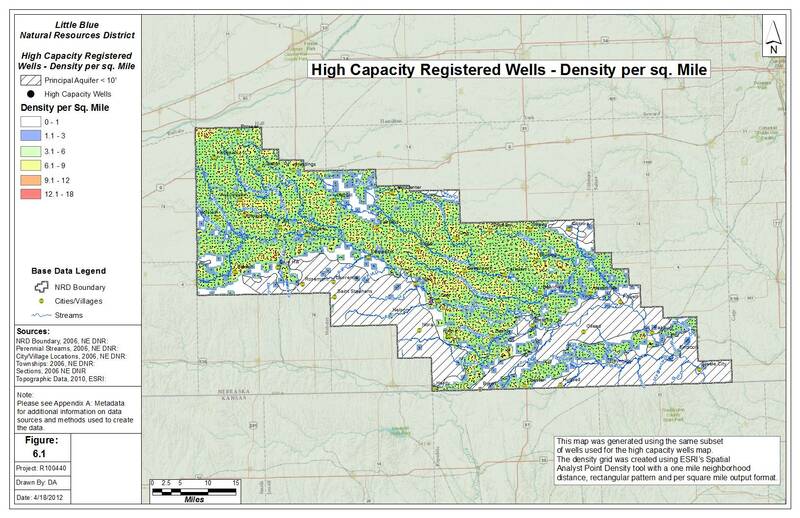 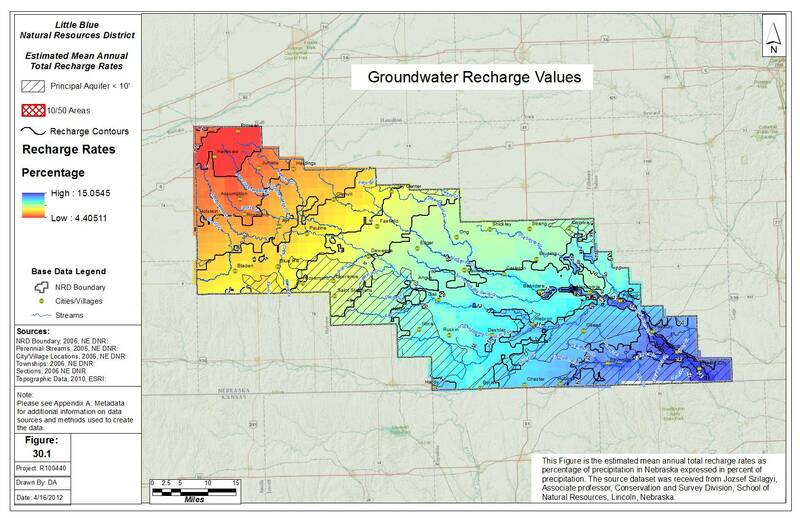 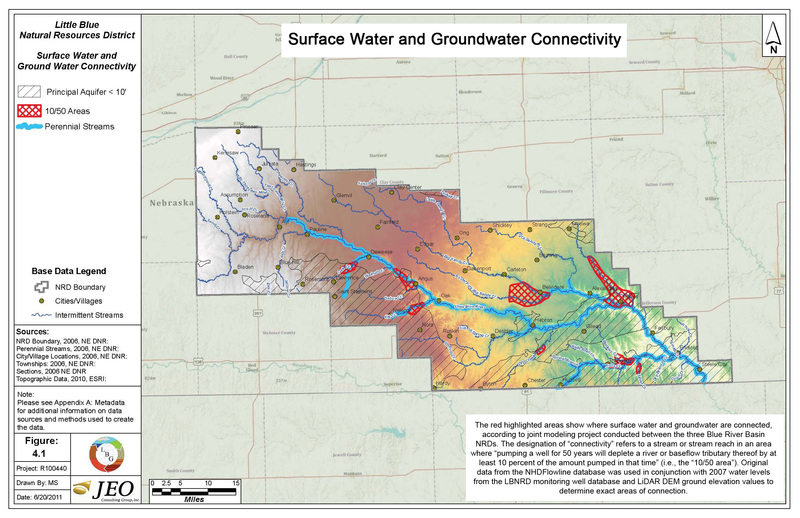 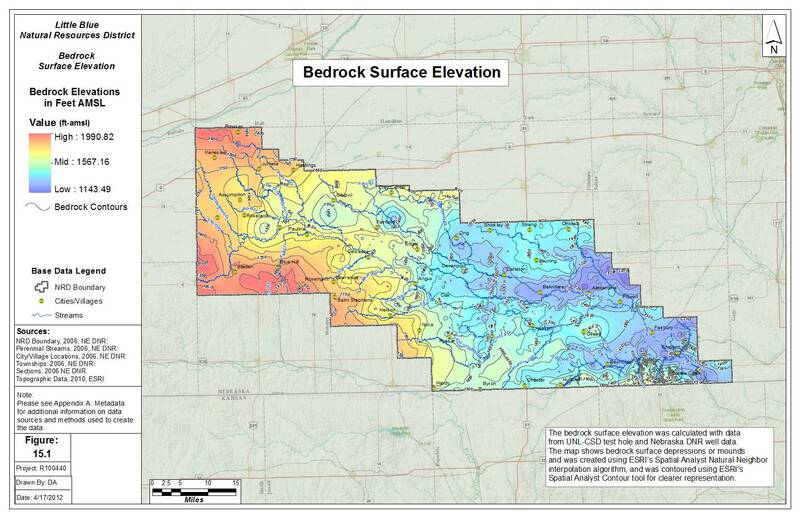 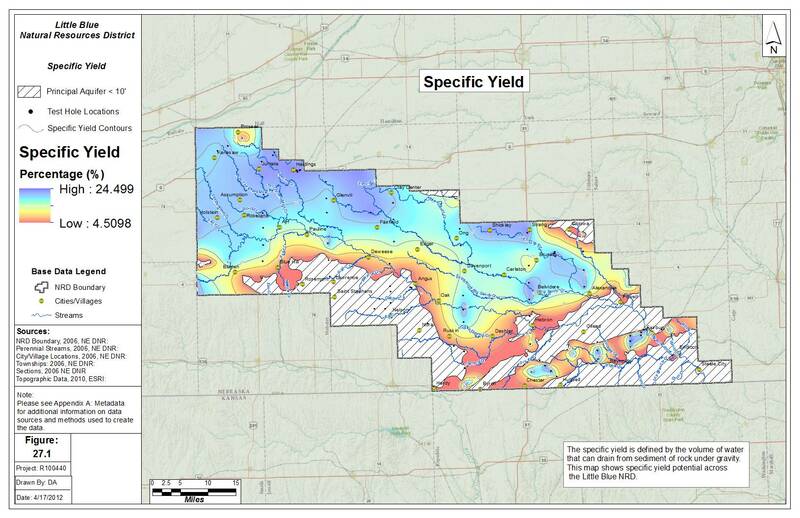 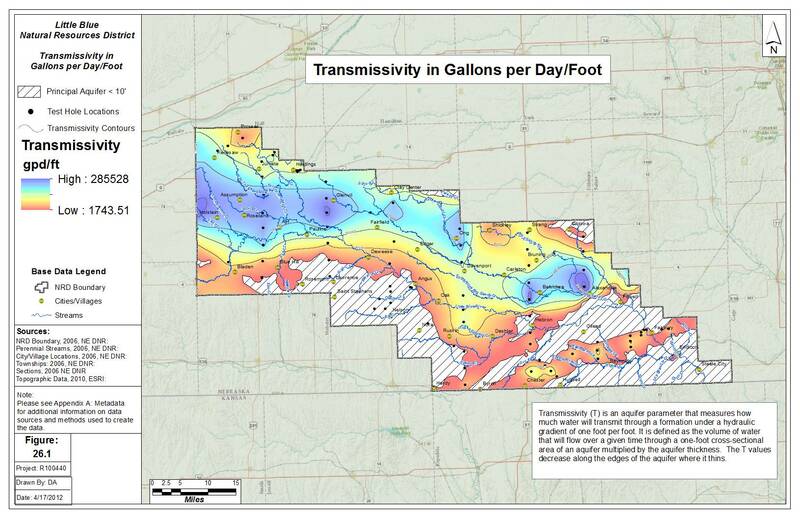 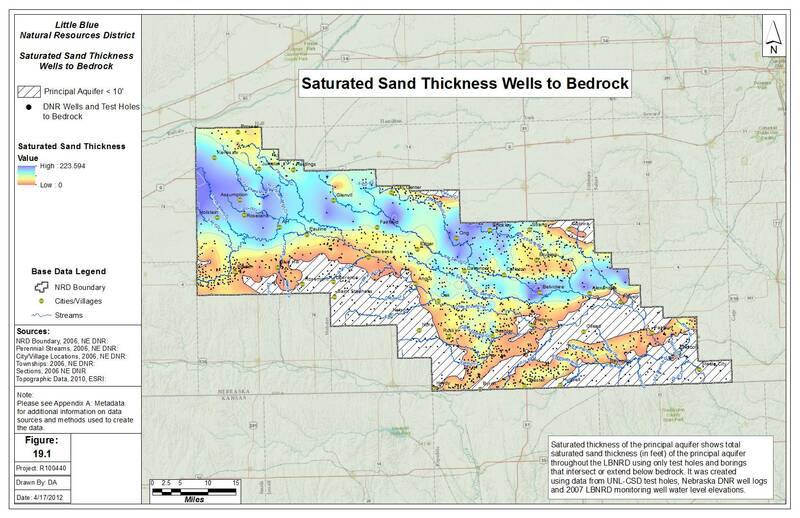 Further, a qualitative groundwater resource risk analysis was completed by compiling the grid layers created from the most sensitive hydrogeologic parameters generated in mapping phase of the project. 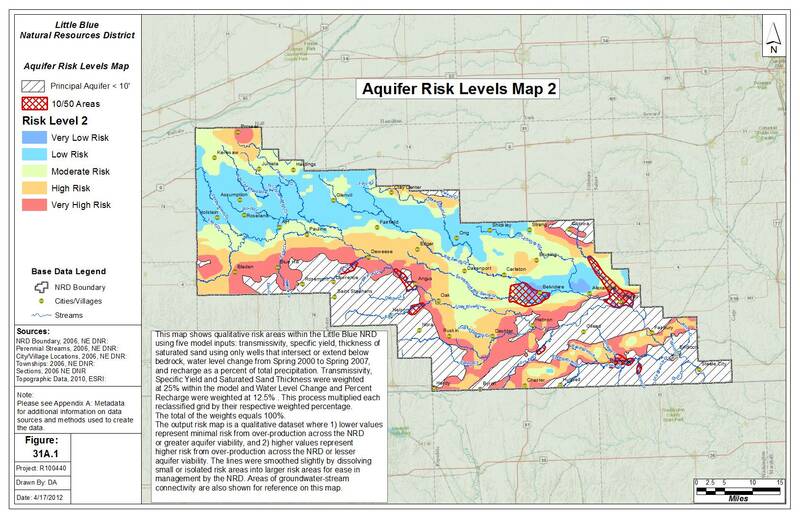 The results of the analysis identified areas across the District that range from very high to very low risk. 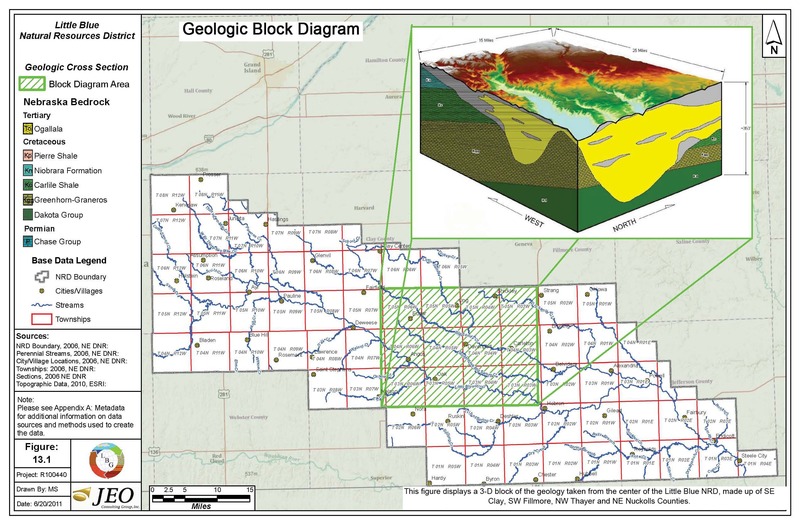 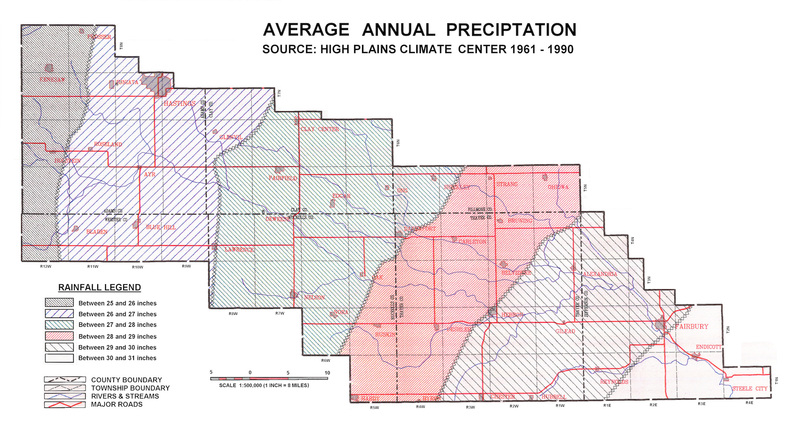 Then available data, literature, maps, and other relevant information from the District, U.S. Geological Survey (USGS), Nebraska Department of Environmental Quality (DEQ), Nebraska Department of Natural Resources (DNR), and the University of Nebraska-Lincoln Conservation Survey Division (CSD) were used as sources of information for compilation of the data and create of maps. 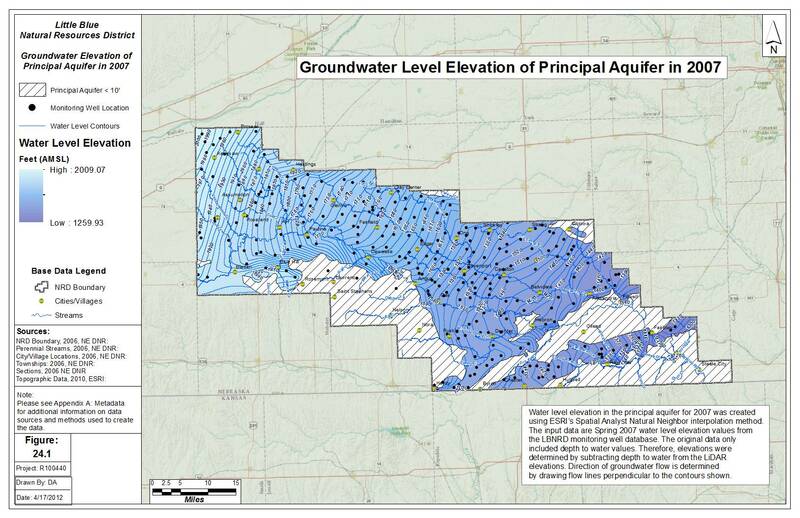 This study and resulting mapping tools provided the District officials with the information needed to refine and/or establish new GWMAs or subareas for better groundwater management, particularly in those areas with marginal well yields and poor development potential.